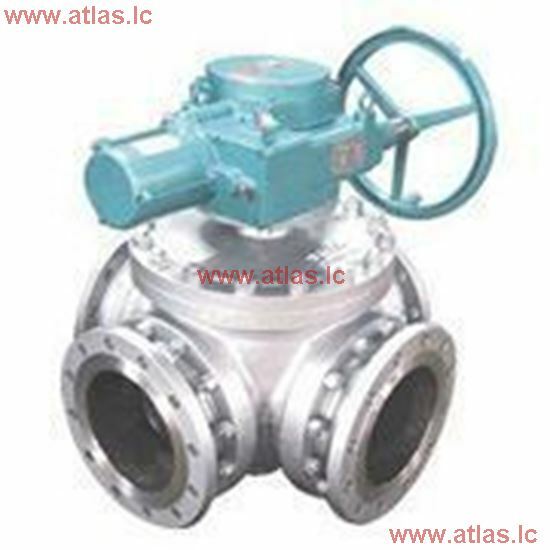 Four way ball valve also known as four way circulating valve, at present, this valve are mainly supplied to clockwise and counterclockwise circulating water supply system of cooler device on power station. The conventional piping design for clockwise and counterclockwise circulating water supply is use a huge device, which with higher cost and frequently operation. Choose four way circulating valve to replace these complex piping system and valves, has simply the procedure, easier the operation, lower the cost, easy to control and good in synchronization. Successful applied to national west to east electricity transportation project; LuoXiDu Hydropower Station for China Three Gorges Corporation as well as XiangJiaBa Hydropower Station for China Three Gorges Corporation. 3. Actuator: Handle Operated, Gear Worm, Electrical Actuator, Pneumatic Actuator etc.